This is something that I meant to share last week right after Mother’s Day, and just never got around to. The Thursday before Mother’s Day I picked Haydn up from school and was informed by him that he had made me something amazing and wonderful but he absolutely could not tell me what it was. “Okay,” I said. To which he replied “Well, don’t you even want to know what it is? How bout you just open the card.” I had to explain to him that sometimes waiting to open the gift makes it even more special when you finally do, and that Mother’s Day wasn’t until Sunday, blah blah blah. I felt like I was torturing him for two days because I would not open this gift. 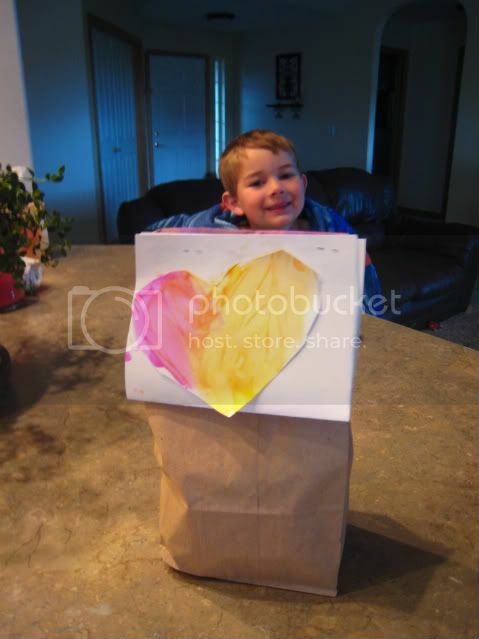 And then Sunday morning finally rolled around and he gleefully presented me with this precious paper bag that he had so carefully painted and made a heart-shaped card for. It was so stinking sweet. 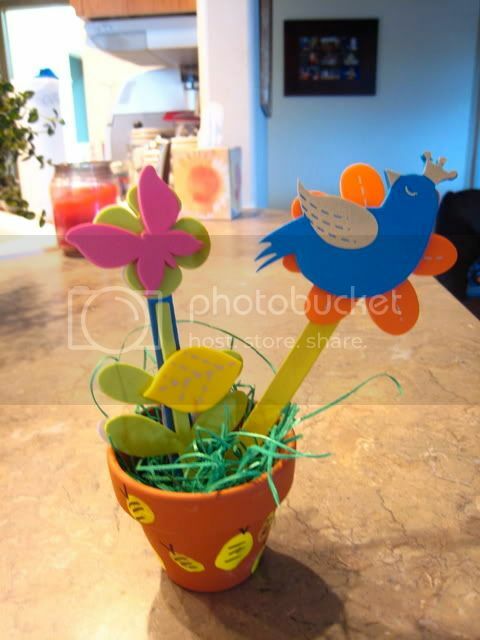 Inside was this sweet little flower pot with popsicle stick flowers and a bird. I have it sitting on my desk in front of me right now. His first Mother’s Day project that he’s made without the help of his dad. Pretty big deal.